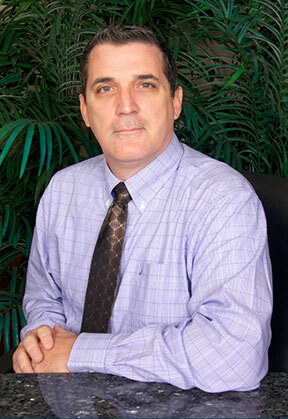 For over 20 years, Robert was a member of Harris Cotherman CPA’s (now Rehmann), a Florida public accounting firm. He is a Certified Public Accountant specializing in real estate finance and accounting. Since leaving Rehmann, Robert worked as Chief Financial Officer with Torwest and Discovery Land Company. These companies specialized in real estate management, development and construction in South and Central Florida and the Bahamas. Throughout his career, his focus has been to provide prime developers of upscale luxury properties and communities, with all of the accounting reports and financial analyses necessary for complete project tracking, development, management and corporate planning. Born in Massachusetts, Robert came to Florida over 30 years ago. He is a graduate of the University of Florida with a BA in Accounting. Robert has been married for 22 years and is the proud father of three sons.